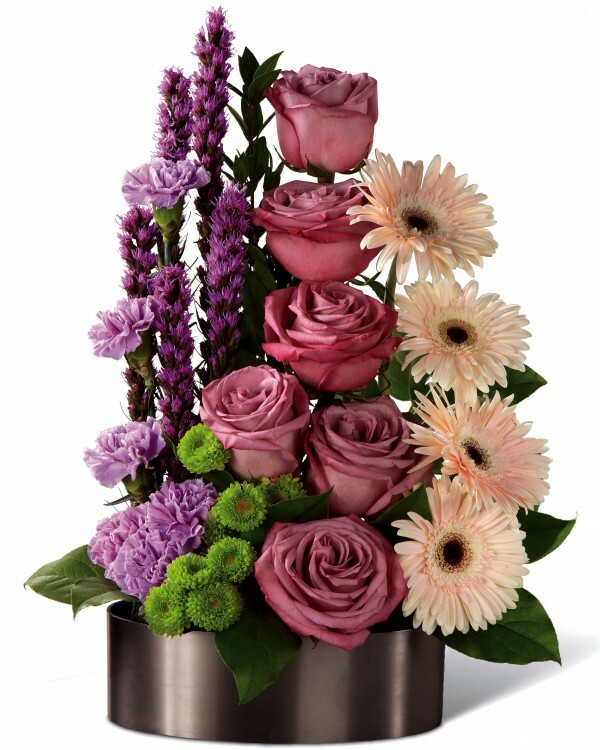 Sophisticated and refined, this stunning fresh flower arrangement has a modern appeal that is set to impress. 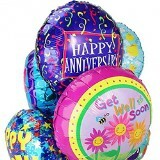 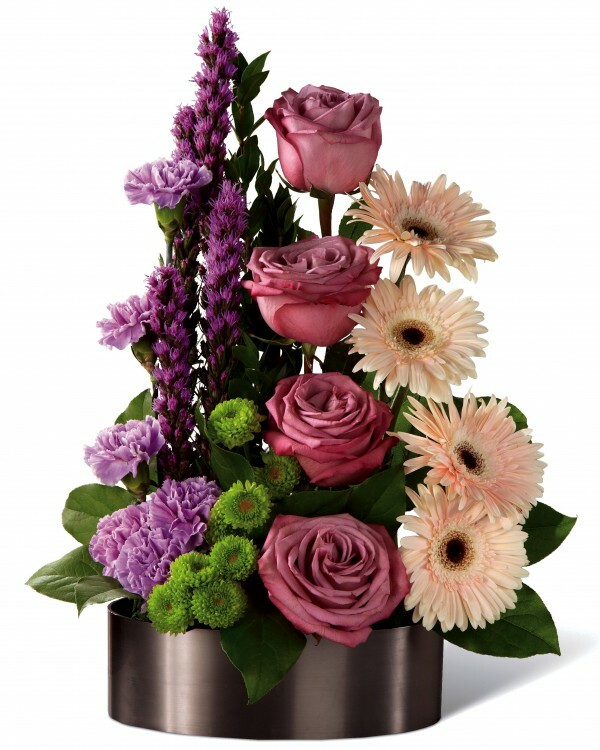 Possessing a vertical design that features color blocks of blooms, this artistic flower bouquet has lavender roses at the center surrounded by hot pink gerbera daisies, purple liatris, and lavender carnations, accented by green button poms, myrtle leaves, and an assortment of lush greens. 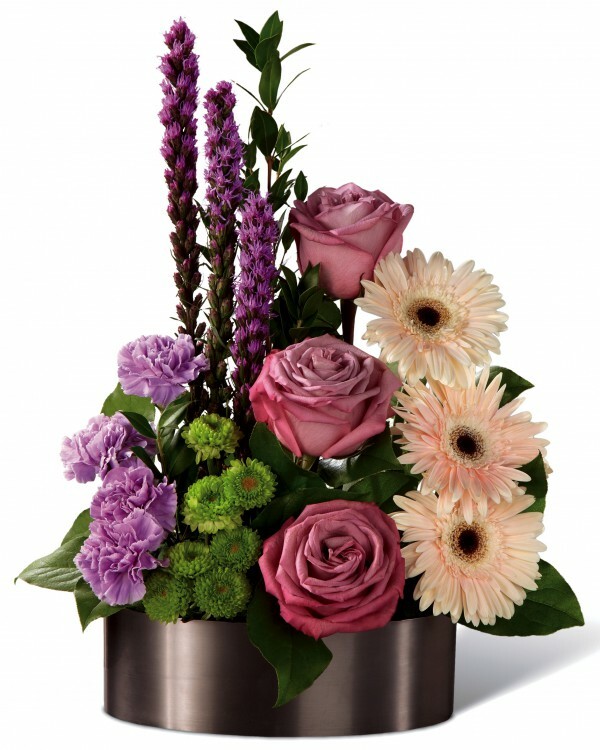 Arranged to perfection in a graphite oval container to give it a streamlined edge of elegance that can't be denied, this gift of flowers is a great gift for friends and co-workers in honor of any of life's special moments.